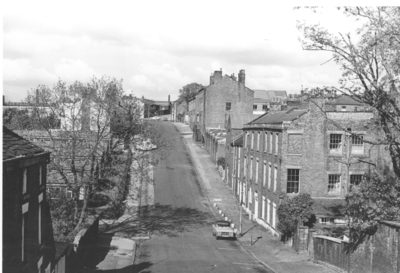 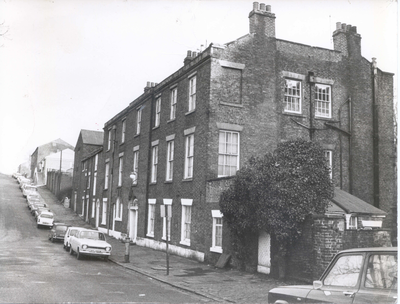 The home of the Swan Brewery was No.2 Hollinshead Street, better known as Chorcliffe House today and was built around 1790.
with margin lights, Doric demi-columns, double doors, triglyph-fluted frieze and a fanlight with radiating glazing bars and 2 pierced bands, 2nd bay has a service door, with a round-headed and a square window on one sill to the right of it; otherwise, all openings have sashed windows with glazing bars, stone sills and heads (splayed at ground and 1st floors). 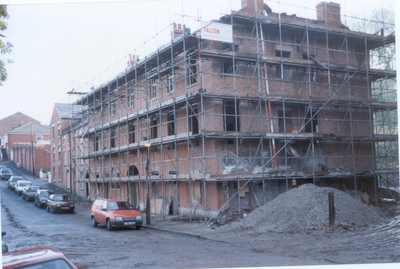 Right return wall has 3 windows on each upper floor (mostly sashed with glazing bars). 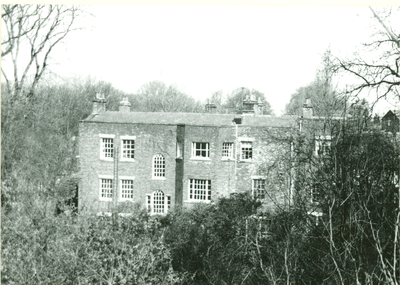 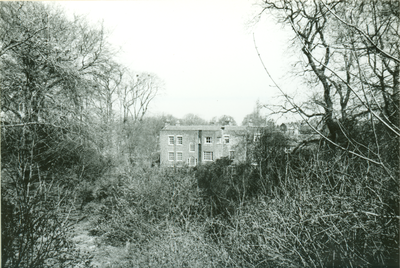 Rear has a canted bay to full height of 3rd bay (large sashed tripartite windows with glazing bars on first 2 floors, sashed windows on 3 sides of 2nd floor); doorway with rectangular stone case in 4th bay, 2 stairlight windows above (the 1st Venetian, the 2nd round-headed, and both with Gothick glazing bars in the heads); other windows in this wall sashed with glazing bars. 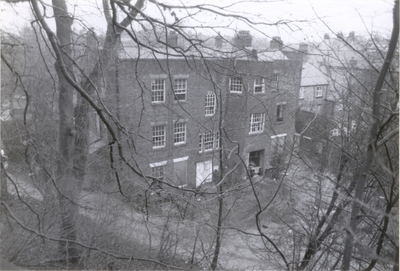 Interior: original staircase, and some original fireplaces, but not fully inspected. 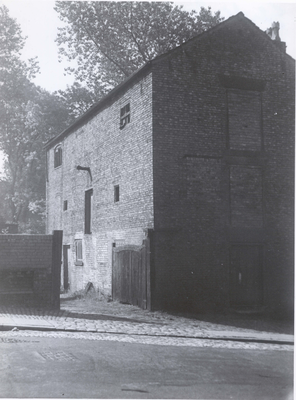 Exactly where the brewery was situated is unclear but may been in the original barn pictured below. 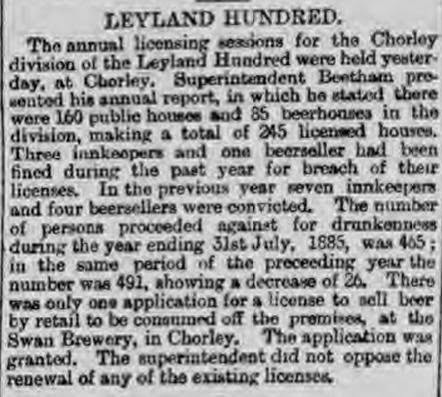 John Lancaster was the owner of the brewery but he died in the mid-1870's and by the time of the 1881 his two daughters, Elizabeth Beddoe nee Lancaster and Alice Lancaster were running the business together albeit this was a short-lived arrangement, as the press release below details; their partnership dissolved in 1881. 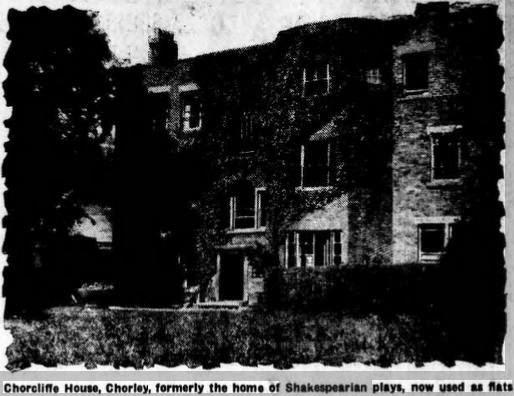 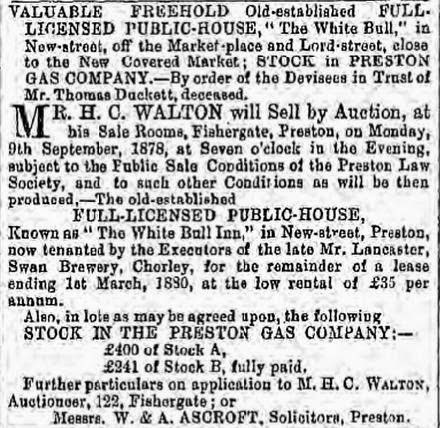 The below cuttings proves the link between the Swan Hotel and Chorcliffe House, both owned and occupied by the Lancaster family until around 1882/3. 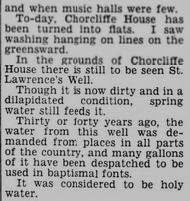 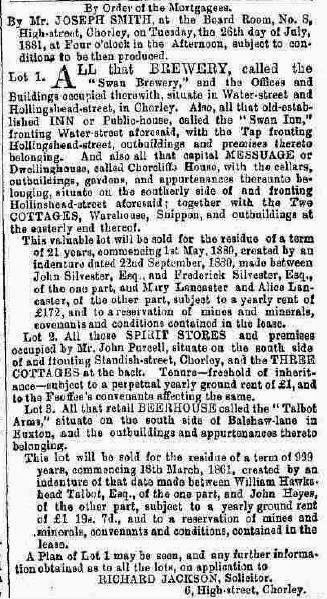 This subsequent press article alludes to the purchasers of the brewery being Mould & Co Mineral Water Works. 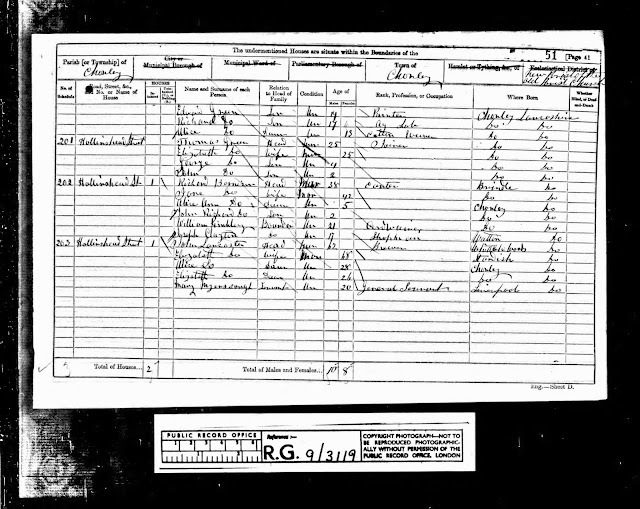 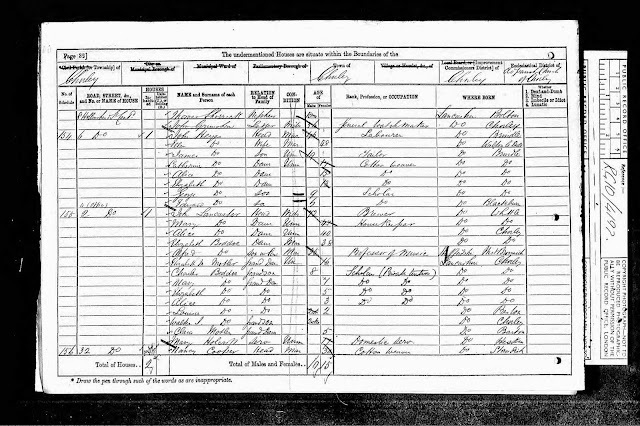 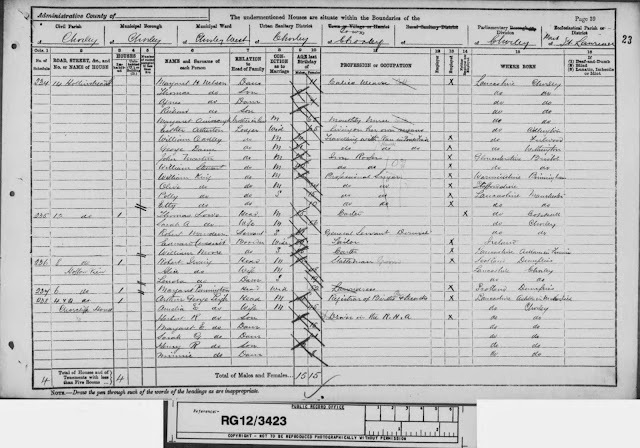 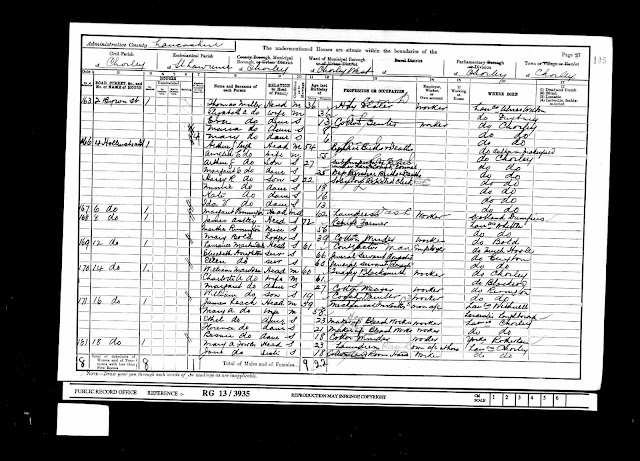 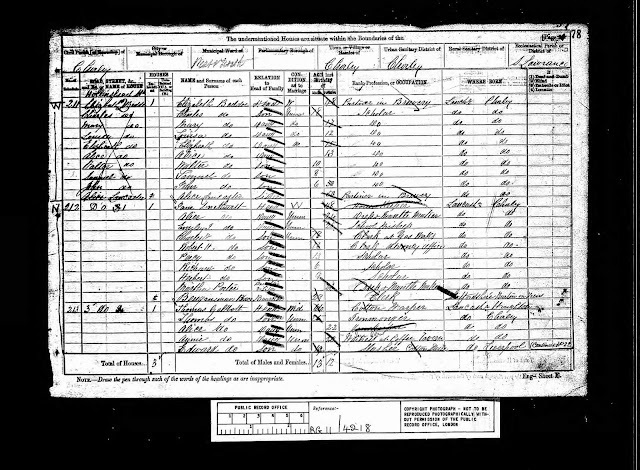 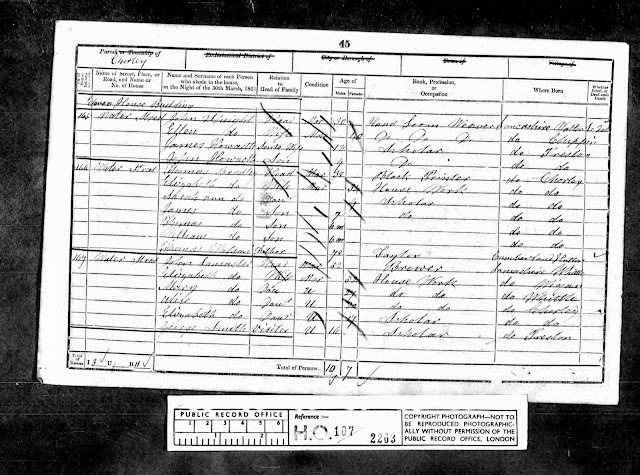 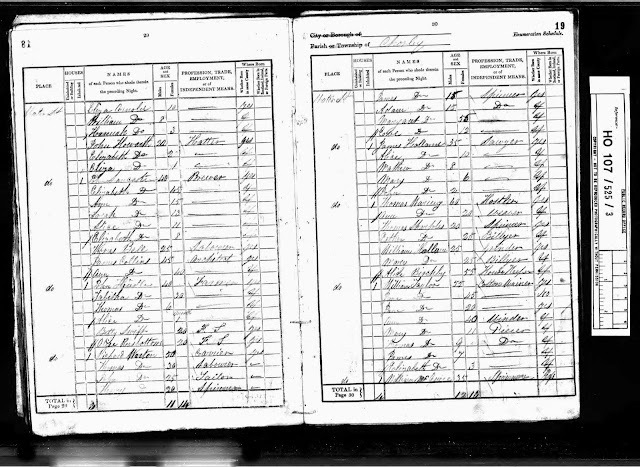 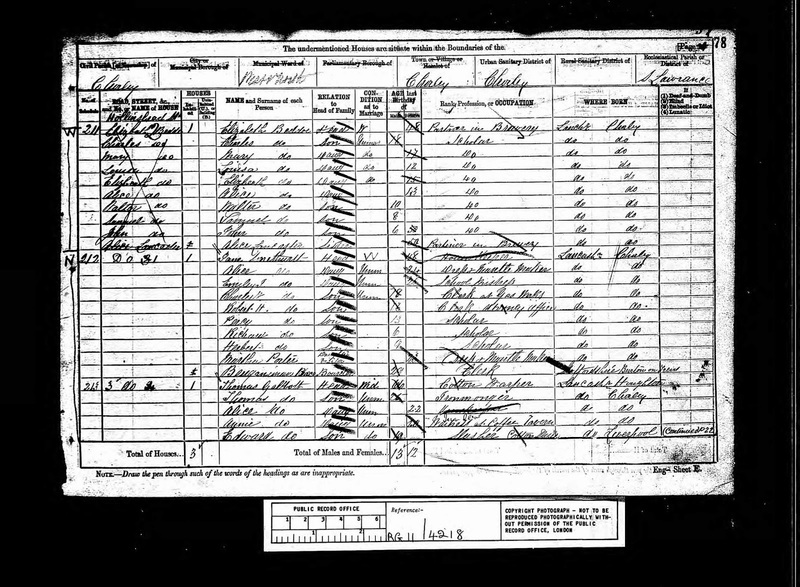 Subsequent census returns for Chorcliffe House show the occupant to Arthur George Leigh, the registrar of births, deaths and marriages. 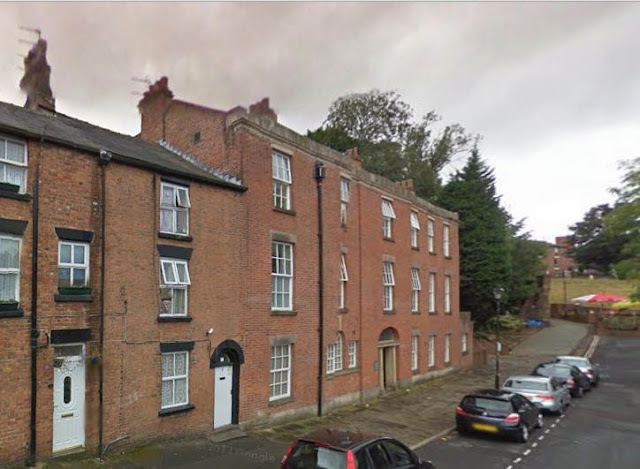 Chorcliffe house was restored in the 1980's and is currently occupied by a number of flats.